It sickens me (actually and physically) that you chose to use this poor woman's case in a petty attempt to bolster your abusive position on the rights of patients to terminate their own lives. Whilst I believe the Judge made the right call I also believe it has nothing to do with the case for assisted dying. That is never true for someone who is suffering from a terminal illness. This article is not actually about assisted suicide but about withdrawal of treatment. Perhaps you should have read it before commenting. Re hope, many people who have terminal illnesses have hope, not hope for a physical cure perhaps, but this is not the only hope worth living for. That is the "Care not Killing" who state one of their main objectives as Opposing euthanasia - are you suggesting that you didn't give those credentials to the press? Are you suggesting you weren't making that statement on behalf of Care not Killing? Of course you aren't, that would be silly, almost as silly as saying that this article is not about assisted suicide. Peter, please don't insult your readers intelligence by trying to dodge the truth. Yes of course I was quoted on behalf of Care Not Killing which opposes a change in the law to allow euthanasia. But this was not a case involving either the suicide act nor the murder law. It was a case about withdrawal of treatment and not active killing and was handled under the mental capacity act. Whether you agree or disagree with my views on assisted suicide or euthanasia is irrelevant. Each case needs to be viewed on its own merits. I quite agree that each case does need to be judged on its own merits, why then are you the spokesperson for Care not Killing which is against euthanasia? You cannot have it both ways, either you are against euthanasia or you admit each case has its own merits and there will be some where euthanasia is the preferred option. When first reading your post earlier today, unaware of the full facts of the case I was in agreement with you. 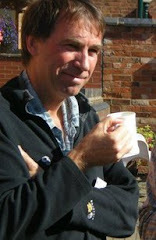 Having read Dr No’s post here: http://www.badmed.net/bad-medicine-blog/2012/06/foul-and-burdensome-treatment.html I no longer do. Please read the judgement which is highlighted in the second paragraph. That gives a much fuller description of her case than anything I have read before, thank you. It also makes me want to rethink my previous support for the decision, I am no longer confident the Judge was right. Dr No's description of forced feeding is I think emotive and melodramatic. The relatives themselves, although they would have preferred that she just be allowed to die at this point were not opposed to one last try. I am not pushing a 'vitalist' position, that all treatments that might be given must be given to every patient. I am saying that there was a chance this poor woman might still come to value her life and respond to treatment. I have seen people in not dissimilar situations who were suicidal for years eventually respond and be very grateful that they were not, in their darkest hours, given what they so passionately asked for, that there were people who did not give up on them. I do not think Dr No's description of forced feeding is emotive and melodramatic at all but merely echoes that of what you read in the judgement. You write "and I am not saying that she should not be allowed to die if this last ditch effort fails" which makes me wonder if this last ditch effort fails will it be followed by another last ditch effort? I am confused as to why you state that she should/might be allowed to die at a later date if this last ditch effort fails. Why not now - what is the difference between now and then - apart from the prolonging of her physical and mental pain? If you knew me Peter you would know that I agree with your opinions in many matters regarding the sancity of life - but in this case 'the striving officiously to keep alive' strikes me as wrong, very wrong and I cannot be swayed from that. I am shocked that anybody would think it right to allow somebody like E to kill themselves through not eating. Perhaps those who are advocating that she should be allowed to do this have not come into contact with people who suffer from eating disorders. 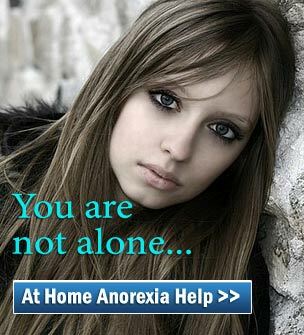 I have friends who have been in the depths of depression and very close to death because of an eating disorder. They are now alive and well, thriving at university and in their personal lives. Maybe they will never fully recover, but they are very glad that their friends and family forced them to have hope (and therefore to eat!) when they could not imagine a time in their lives when they would be hopeful again. We must never forget that people like E are ill. As Dr. Saunders said, she was not in her right mind, she needed other people to be strong for her because she could not be. One day, I am confident that she'll look back and be glad that those who would have left her on the road to her own destruction were ignored!